Angela Means is an American actress who stepped into the limelight through the fascinating role she played in the movie Friday. She also has a career in photography of which some of her incredible works have been published in notable American journals like LA Times and the Daily News. The famous actress is also best known as the mother of Brad Kaaya Jr, who is a renown American football quarterback who is associated with Cincinnati Bengals NFL team. Angela Means is also known to have a keen likeness for vegan dishes, which greatly influenced her to create her own vegan food products line. She is also the owner of RAWkin Juice and Jackfruit Cafe. Read on to learn more about how the American actress was able to achieve all she has managed as well as other details about her personal life. On the 19th of November 1963, Angela Means was born in Ann Arbor, Michigan, United States of America. Information regarding her parents, siblings, and education are not yet disclosed to the public. The notable photographer put her acting career to a start in the 1990s, when she featured in several episodes of the TV show, In Living Colors. Then in 1994, she went on to appear in the movie House party 3, where she was cast to play the role of Veda. Later in the following year, Means landed her major hit in Hollywood when she starred as Felicia in the 1995 classic movie; Friday, alongside Chris Tucker and Ice Cube. Following her dialogue in the 1995 classic movie, the Bye Felicia meme began making headlines on the media which further brought much popularity to the American actress. Since then, she has moved on to make several appearances on multiple TV shows and movies including featuring in the Nickelodeon series, Cousin Skeeter along with Megan Good and Robert Richard. At a very young age, Angela Means got to learn about the health benefits of vegetables and fruits. This has gone a long way to influence her choice of foods and has also inspired her to invent a vegan restaurant called Jackfruit cafe in Los Angeles and RAWkin Juice. The renown actress, however, ventured into entrepreneurship proper when she created her own line of vegan food products. Aside from her acting career, the notable entrepreneur has also done some works as a producer, comedian, and photographer. Being a professional photographer, some of Means’ excellent works have gained multiple spots on LA Time and the Daily News, where they have been published. Furthermore, she made a good display of her organisational skill, when she landed the job of Operation Director for the American Youth Football, West Fernando Valley in 2001. With all these, one shouldn’t be astonished at Angela Means’ meteoric rise to fame, as she has made waves in the movie industry, as well as in the business world. Following a long relationship with Brad Kaaya Sr., Means finally exchanged marital vows with him, however, the details of their wedding are yet unknown. Brad Kaaya is a screenwriter, who has previously worked as a production assistant. He bagged a B.A degree in Economics from the University of California. 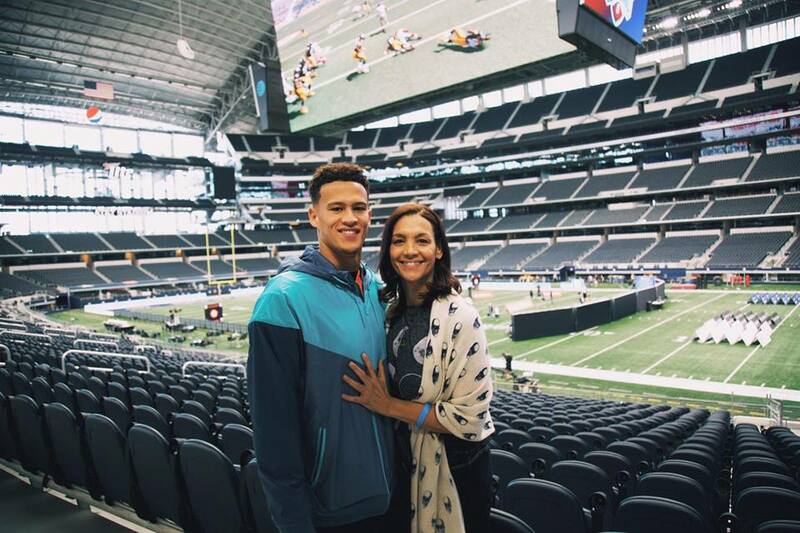 In addition, the couple welcomed their son Brad Kaaya Jr on the 3rd of September 1995, in California. A few years later, when their son was five years old, things between the couple reached rock bottom, as they got separated. Then on February 5, 2014, the American actress announced her divorce from Brad Kaaya Sr. during an interview session. Despite the couple’s separation, they have continued working together in taking good care of Brad Kaaya Jr., who is a notable American football quarterback and is playing for Cincinnati Bengals. He was previously associated with other NFL clubs such as Indianapolis Colts and Carolina Panthers. According to Brad Jr, his mum has been of immense support to him as well as his dad who has coached him on football. As at present, Angela Means is still single and yet to remarry, while her ex-husband is in his second marriage and has gone ahead to welcome a daughter, Charlie Kaaya with his wife. As an actor who began her acting career in the 1990s and also engaging in multiple endeavours as a producer, entrepreneur, and photographer, it’s no surprise that Angela Means has acquired huge wealth. The renown actress has an estimated net worth of $300,000.